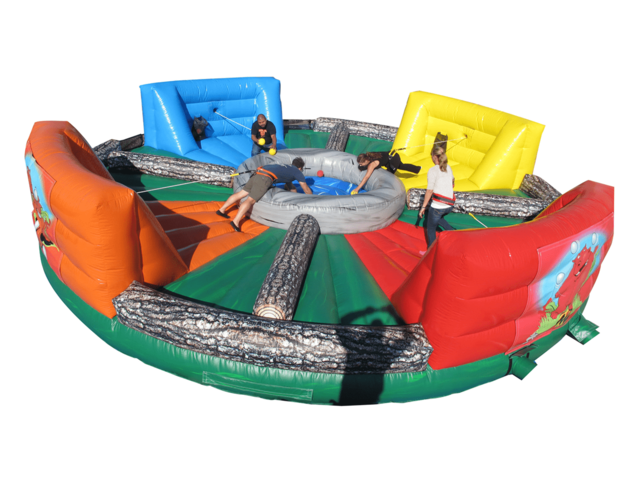 This exciting party inflatable brings the classic tabletop game to the real world! Our Hungry Hippos Game allows players to jump into the fray and compete with each other to see who can hoard the highest amount of balls! Each players area is designated by a different color, and we provide all the equipment that you need to get going! When scheduling for Saturday parties, be sure to let us know in the order form if Friday delivery works as well. Do note that when we deliver earlier, we do so at no charge to you! We also ask that you let us know of other time constraints ahead of time.